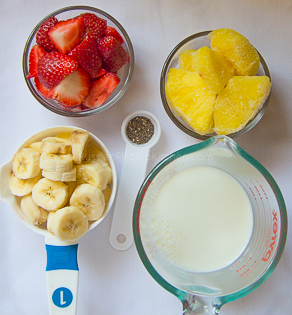 Smoothies were a real treat when I was still living in the Philippines. I was only able to try them a few times and I remembered being fascinated by its taste and texture. Although fresh fruits and vegetables were available all year round in our country, we didn’t own a blender then so we didn’t have the luxury of turning fruits and veggies into a yummy drink to be enjoyed especially during the summer months. When I came to the US, I was so happy to see a blender at our first apartment that on the first week I was on a smoothie binge. My husband was so amused at my enthusiasm that he didn’t mind going to the grocery store several times to buy some fruits and vegetables. 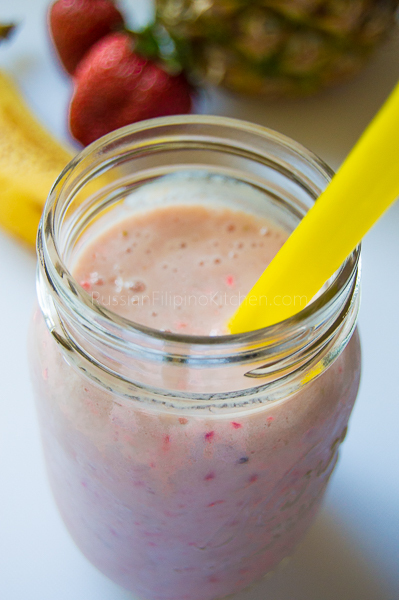 This strawberry pineapple banana smoothie is one of my all-time favorite smoothie recipes. 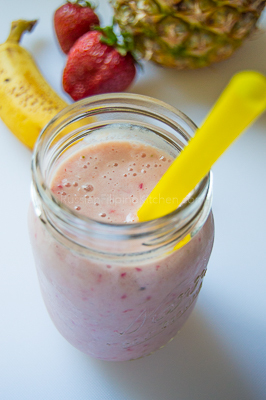 It has the right balance of sweetness from the fruits so you don’t need to add extra sugar. You can use frozen fruits for this recipe and omit the ice cubes to give you that thick almost-like-ice-cream consistency. I personally prefer it to be a little watery but not too much. I freeze one or two of the fruits and left one just chilled or at room temperature and I skip the ice cubes. 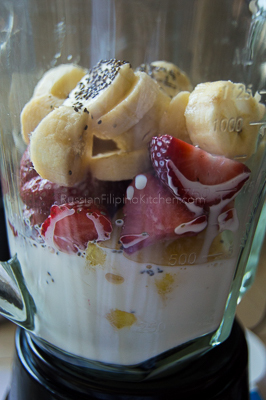 Also, I like to add a sprinkle of chia seeds with the fruits for added boost of nutrients to the drink. 1. 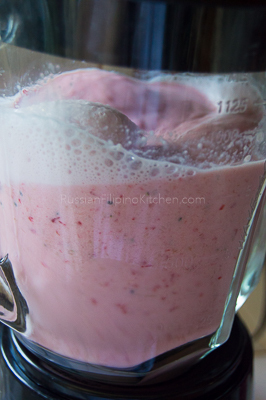 Throw all ingredients into a blender with the frozen fruits or ice cubes going in first so they sit at the bottom. 2. 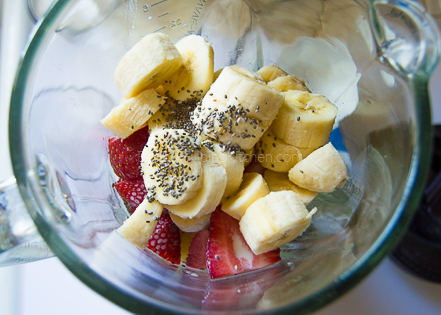 Cover blender and push button to blend everything until smooth. 3. Pour into individual glasses and enjoy! 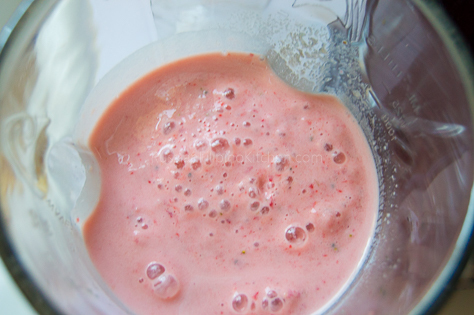 Throw all ingredients into a blender with the frozen fruits or ice cubes going in first so they sit at the bottom. Cover blender and push button to blend everything until smooth. Pour into individual glasses and enjoy!